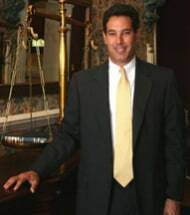 Steven Girsky is the founding partner of the Law Office of Steven Girsky. Mr. Girsky was born in Baltimore, Maryland in 1966. He is a graduate of the University of Tennessee at Chattanooga (B.S., 1988) and Memphis State University (J.D., 1991) where he served on the Law Review staff. Mr. Girsky is an experienced litigator that has had success in court rooms across the state of Tennessee, the Commonwealth of Kentucky and at the appellate levels. Mr. Girsky holds a license to practice law in the state of Tennessee and has been licensed since October of 1991. Mr. Girsky also holds licenses to practice in the Commonwealth of Kentucky; the United States District Court, Middle District of Tennessee; the United States District Court, Western District of Kentucky; and the Sixth Circuit United States Court of Appeals. He is a member of the Montgomery County Bar Association where he has previously served as President of the Association. Mr. Girsky has practiced in the areas of General Civil Litigation, Insurance Defense, Employment Law, Accident and Injury Law, Medical Malpractice, Corporate/Business Law, Estate Planning and Domestic Relations with an emphasis on contested Divorce and Child Custody cases. Attorney Steven C. Girsky handles divorce, child custody, and child support, as well as personal injury, business litigation, and other legal matters throughout Tennessee and Kentucky.